Another great year of reading is coming to an end, although it did not start that way. I am grateful to the love that has returned my passion for reading to me when reading – when life – became unbearable. Knowing how few books one can read in a lifetime (I won’t depress you with the estimate), I have become quite selective and wise about what I read. Thus, out of the sixty-three books I have read this year (until today, some not for the first time), almost all were good, thirty-one were great – among them were a few which were life-changing – and only two I did not finish. Of these two, one was brilliant, but I was reading it on 6 February and have not been able to return to it. The other one I had wonderful hopes for, but I was so disappointed and frustrated that after a hundred pages I decided not to waste more of my time on it. In the spirit of the festive season, the perpetrator shall remain unnamed. The great ones I have finished, I would like to divide among four categories: relevant, delightful, exquisite, and life-changing (whereas some, of course, overlap). There are old-time favourite authors on my list like Alexandra Fuller and Ivan Vladislavić, but also new discoveries like Pamela Power or Mark Winkler. Nor can we know ahead of the fact (and here lies the heart of the difference between grief as we imagine it and grief as it is) the unending absence that follows, the void, the very opposite of meaning, the relentless succession of moments during which we will confront the experience of meaninglessness itself. I had a very efficient guano maker installed in my bath. We have to admit our massive love for people. If we don’t ever need to know its depth, we just feel the light on the surface. I would like to single out two books I haven’t written about. Yet. 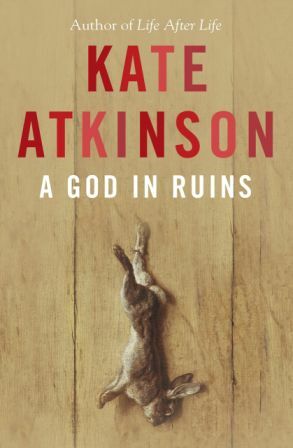 Kate Atkinson’s A God in Ruins and Roberto Calasso’s The Art of the Publisher. Atkinson’s novel is one of the most exquisite books I have read in my life. Its beauty and its declaration of love for the power of literature to capture eternity, to heal, to open up spaces in us we never even knew existed are staggering. Personally, I will always associate the novel with two seminal moments in my life. While reading it during one of those serene nights when you are at peace with yourself and the world, I saw something beautiful and drew a sketch of the scene at the back of the book. It is also engraved in my heart. And when I finished A God in Ruins, I was crushed by the inability to share it with André, but then something happened which gave me comfort and hope and the book will always be at the source of these feelings when it comes to reading. I hope to write about it before the year is over. 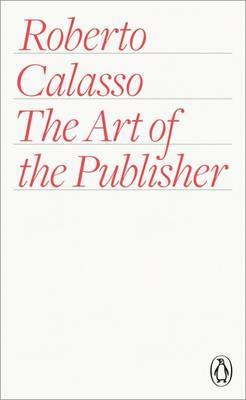 Calasso’s book speaks about everything I have ever known, felt, dreamt about or hoped for in publishing. I have known for years that one day I would become a publisher myself. 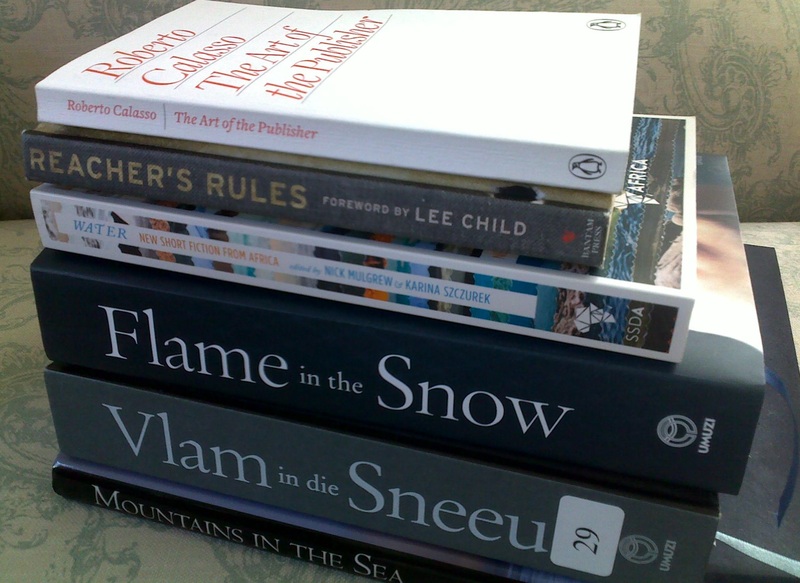 The Art of the Publisher made me realise that the time has come to make that day become reality. This entry was posted in Comments, Memories, What I've Read, What I've Written and tagged 101 Detectives, A Celebration of the Table Mountain National Park, A God in Ruins, A Year of Magical Thinking, Alexandra Fuller, André Brink, Andrey Kurkov, Back to Angola: A Journey from War to Peace, biography, Books That Matter, Craig Bartholomew Strydom, Craig Higginson, Cynan Jones, David Attwell, Death and Resurrection of Sixto Rodriguez, Death and the Penguin, Embers, fiction, Finuala Dowling, Flame in the Snow, Harper Lee, Ingrid Jonker, Ivan Vladislavić, J. M. Coetzee and The Life Of Writing: Face-To-Face With Time, Joan Didion, John Yeld, Karen Joy Fowler, Kate Atkinson, Killing Floor, Leaving Before the Rains Come, Lee Child, Louise Viljoen, Marie Philip, Mark Forsyth, Mark Winkler, Martine Barker, Melissa de Villiers, Mountains in the Sea, Ms Conception, New Short Fiction from Africa, Nick Mulgrew, non-fiction, Notes from the Dementia Ward, novel, Pamela Power, poetry, Rahla Xenopoulos, Roberto Calasso, Sándor Márai, SJ Naudé, Stephen ‘Sugar’ Segerman, Sugar Man, The Alphabet of the Birds, The Art of the Publisher, The Chameleon House, The Dream House, The Life, The Long Dry, the myth of this is that we’re all in this together, The Penguin Lessons, The Unknown Unknown, To Kill a Mockingbird, Tom Michell, Tribe, Vlam in die sneeu, Wasted, Water, We Are All Completely Besides Ourselves, What I Didn’t See and Other Stories, What Poets Need on December 11, 2015 by Karina.